A recent price rise at Harrison’s / Birchden Woods car park is in place mainly due to the operating costs of the facilities. The lease for the toilet block will expire this November and it will be handed back to the Forestry Commission who cannot afford the up-keep of these facilities. 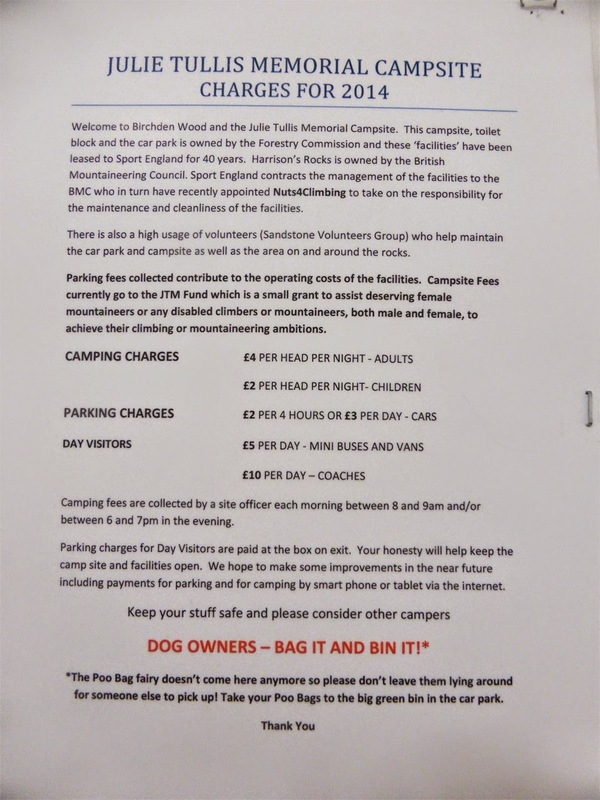 The BMC own the crag itself but not the car park and do not want to get involved with toilet matters. A newly formed volunteer group called the CIC Working Group want to take charge and maintain the facilities. 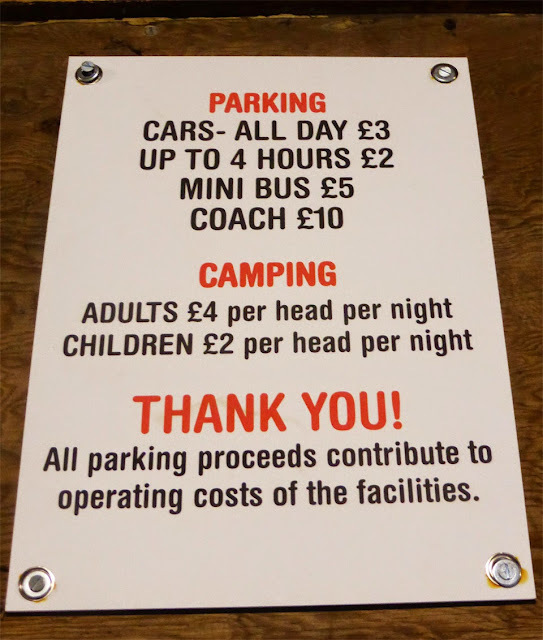 The parking and camping fees are intended to contribute towards the maintenance and up-keep of the facilities and also go to the Julie Tullis Memorial fund. If the newly formed volunteer CIC Working Group can provide a plan as to whether they can afford the up-keep of the toilets then they will be agreeing to maintain these facilities in the future. Talks are on-going between the BMC, Forestry Commission and CIC Working Group at this time. Currently the CIC Working Group want to negotiate with the BMC for their support with finance to keep the facilities open. However the BMC has never sought, or wanted to own the car park or campsite. They were given the freehold of the rocks in the late 1950s but couldn’t at that time uphold it, so passed it to the CCPR, which later became Sport England. In the mid-90s the BMC took over the management on behalf of Sport England but the ultimate responsibility has always rested with Sport England because they own the lease. The car park was built for Sport England, not the BMC. Now that lease is ending, it returns back to the Forestry Commission who's original idea was to demolish the toilets and expand the car park. There is currently a debate with the Harrison’s facilities. One view is that we need these toilet facilities, as Harrison’s is such a busy crag and that without them the surrounding woodland may see an increase in human waste. There is also the matter that the campsite would not be able to exist without these facilities. The other side of the debate is that some people see this facility as being more of use to large organised climbing groups and less aimed at the individual. Those individual climbers are then potentially paying for a facility that would not normally be available at other climbing venues around the country and is deemed more of a luxury than a necessity. An example is Stanage that is also a busy crag with walkers and climbers, but does not have the facilities like these but instead just has a parking area. With the increase in fees from £1 to £3 per day, this now brings Harrison's in line with other sandstone crags that incur a fee for their use. The table below is based on selected crags and is calculated based on an individual visiting the crag for a day of which they would visit once a month for a year. If you buy a season ticket, Bowles works out the cheapest at £30 per year, Harrison’s works out second cheapest, (even though you cannot buy a season ticket) working out at £36 for 12 visits, and High Rocks is the most expensive at £45 for the year. If you are paying day by day then Harrison’s will work out the cheapest at £3 per day for cars and £36 for 12 visits. In second place is Bowles at £4 per day, working out at £48 for 12 visits. High Rocks is the most expensive at £10 per day, working out at £120 for 12 visits! So it’s best to buy a season ticket for High Rocks at £45 if you plan to climb there a lot. High Rocks is on private land and some could say that we are lucky we are allowed to climb there at all, but you could also argue that why pay for Harrison’s at all when it’s owned by the BMC? As we are not paying towards maintenance of the rocks or to climb there, we are paying mainly towards the up-keep of the facilities. Whatever your view, the costs will go towards facilities that can be used by all.